Warlord yesterday announced a few new releases! Not that many really! 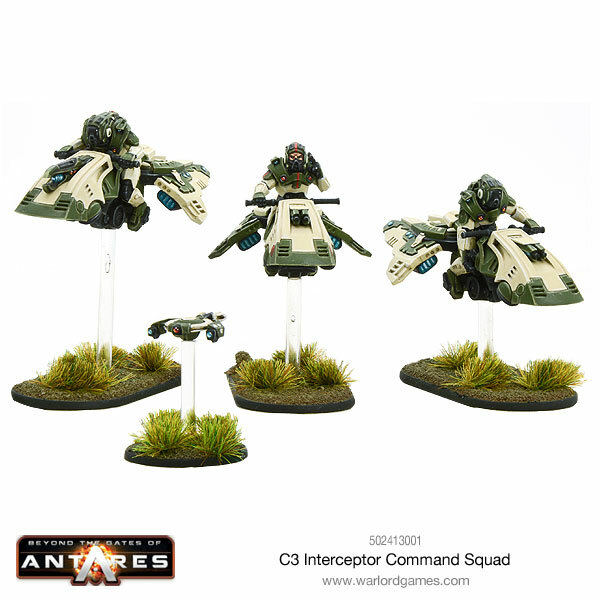 Available to order today is the C3 Support team with the state of the art plasma cannon! The culmination of technology has created the ultimate support weapon. In it’s own category of light support weapons the plasma cannon is considered the best all rounder, being so good it can contend with heavier weapons on the field making this a compulsory must-have. Specifically, it can destroy medium to heavy armoured targets whilst contending with larger groups of troops. 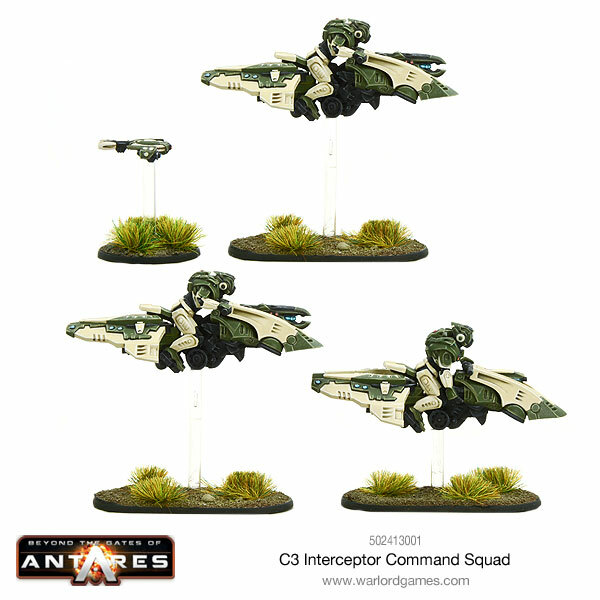 The ST500 Interceptor bike is a fully sentient drone vehicle that forms a combined combat shard together with its rider and the other members of its squad. 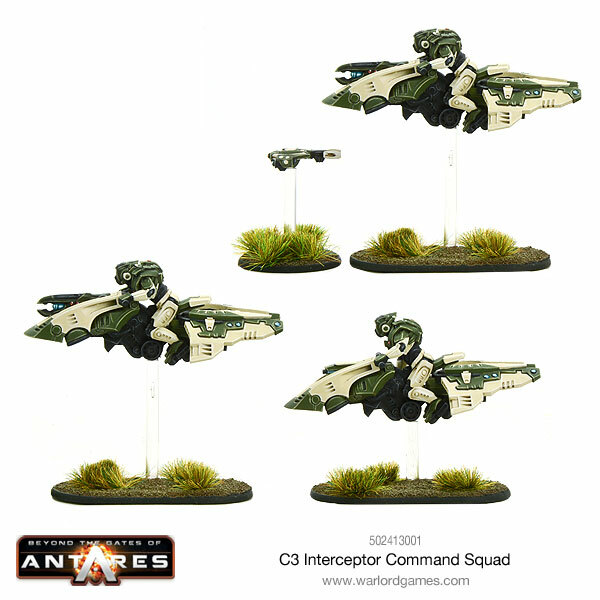 Interceptors excel at hit and run tactics and can strike and move away at speed before the enemy are ready to reply. They can also be used to carry compacted support weapons and provide the crew for advance forces, often arriving ﬁrst and occupying a position ahead of the enemy. They are buoyed upon powerful suspensors that also provide their motive power at lower speeds, whilst reaction thrusters give them extra forward momentum at speed..
Their mobility is their greatest attribute but can also be their biggest downfall, pushing forwards and capturing objectives without reinforcements is certainly a bold move. Knowing when to retreat is vital knowledge, you can zoom past the objective and harass the enemy, whittling them down to guarantee victory for your strike squads. Special: You can only include more than 1 Interceptor Squad in your force if you also include an Interceptor Command Squad.